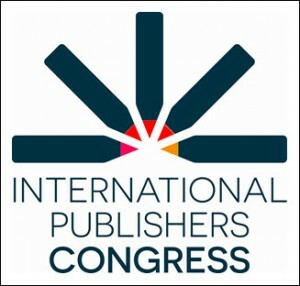 In the closing minutes of the 32nd congress of the International Publishers Association, it was announced on Tuesday (February 13) that Lillehammer will be the site of the next of these biennial gatherings of publishers from 60 nations. 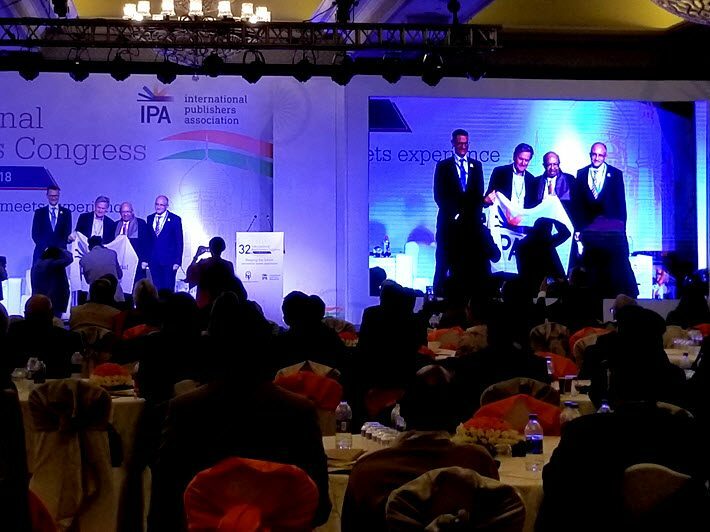 Speaking in a video address to the 32nd congress of the IPA seated in New Dehli, the Norwegian minister of culture, Trine Skei Grande, told the group, “As a passionate reader, I’m looking forward to [this] cooperation with the publishing industry. We’re excited to welcome you all in 2020 to Lillehammer,” which is a UNESCO City of Literature. Ironically, it may be some of publishing’s own patterns and assumptions that most need disrupting. Many delegates to New Delhi, both male and female, were worrying aloud by the third and final day about the majority-male representation onstage during the presentations and panels. The Indian host market is one that includes many accomplished women as well as men, but most representatives of India’s huge, complex, and fast-developing market are male, at least as seen in the programming of the 32nd congress. India’s publishing industry is far from alone in gender diversity concerns. Much if not most of the world industry is struggling to constructively and productively address decades of male dominance at the executive levels. At the same time, many are concerned that the rest of the workforce (below executive ranks) is imbalanced toward women in many major markets. The organizers of the IPA’s congress programming were working with a dilemma familiar to those who labor in NGOs and other multinational bodies: the international and national constituencies are at times in competition with each other at these events. A hosting association needs to serve its membership’s priorities and realities as well as those of the international-level agenda: not easy. The IPA panel most extensively representative of women’s work in publishing was the one ably led by the UAE’s Bodour Al Qasimi, founding publisher of Sharjah’s Kalimat and patron of the Emirati Publishers Association. 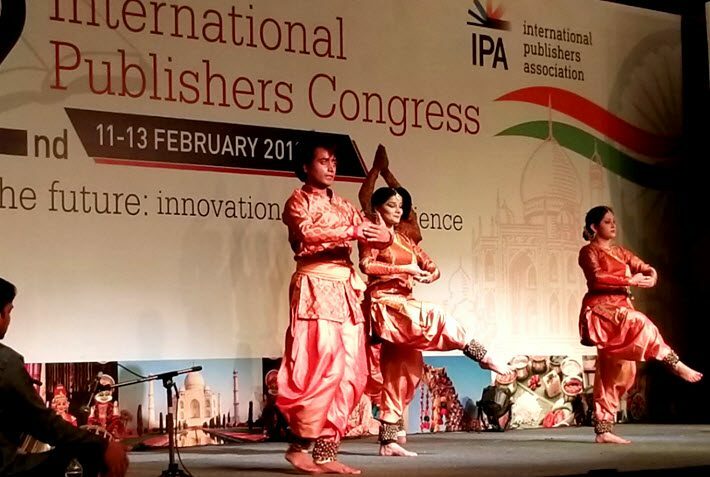 Sharjah, in fact, will be Guest of Honor at the New Delhi World Book Fair in 2019, it was announced as the IPA congress closed. The session led by Bodour was focused on “Creating the Readers of the Future,” which of course means young readers, children’s books—the nurturing role to which women are so frequently assigned, even as Bodour, herself, is one of the premiere businesspeople in the Arab world. She chairs the Sharjah Investment and Development Authority, known as Shurooq, and that is not kids’ stuff. But the “Global Leaders Forum” on Day One was all-male, an all-too-accurate look at the executive suite in world publishing. Something is simply wrong when the leading association for the world’s book publishers fields a “Global Leaders Forum” with only men speaking. Not until 2 p.m. on the first day of the congress could a woman of real publishing clout be seen onstage, when the Association of American Publishers‘ CEO Maria Pallante joined IPA’s Kolman and the World Intellectual Property Organization‘s (WIPO) Francis Gurry on intellectual property issues. In fact, on the third day, even “Strengthening Education Publishing Capacity” was all men—a panel in which we might expect the stereotypic lean into women and nurturing to recur with the educational theme. If the stereotype was avoided, so were the voices of women working in educational publishing. As the UK takes the lead in addressing not only gender inequities in publishing but also those of race, ethnicity, and sexuality, there may not be a national industry on Earth that doesn’t need to take a similarly hard look at its own issues in this regard and forthrightly, openly address them. Our publishers’ world body, the IPA, is well-positioned to provide leadership in this regard, much needed. And yet, none of all these guys on stage had the grace or presence of mind to say from the podium that more women should have been with them. And so we take heart: the advances that women have made in publishing in the Nordic and Scandinavian industries may hold timely value for many national associations to learn from in 2020 when Oslo hosts everyone at Lillehammer. 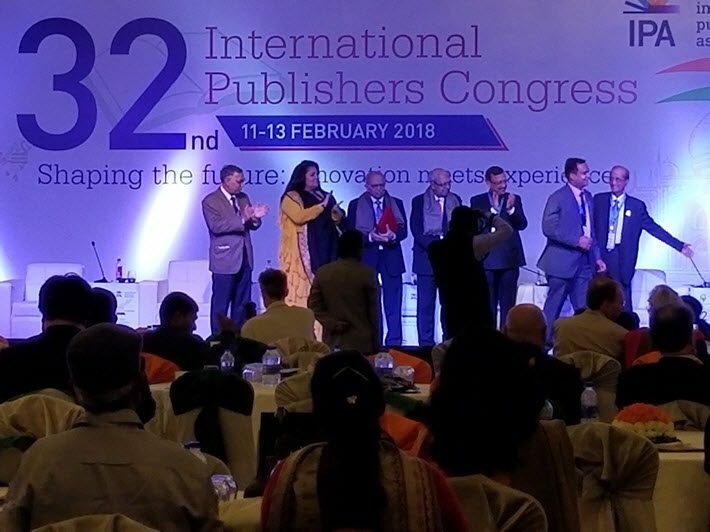 Further commentary from the stage noted the special contributions to the program of both the IPA’s Freedom To Publish committee members and executive committee—as well as the host association, the Federation of Indian Publishers. And yet, the congress ultimately made far less news than might have been anticipated, other than the instructive controversy around the Prix Voltaire (more on that in our report here). The coming Norwegian congress is expected to coincide with events in Lillehammer’s City of Literature programming in the last week of May 2020, following Norway’s Guest of Honor program at the Frankfurter Buchmesse in October 2019. The City of Literature context exists under UNESCO’s Creative Cities Network initiatives. One of the former IPA presidents at Delhi was Ana Maria Cabanellas of Argentina, a woman who told Publishing Perspectives that this year’s program was her 12th biennial. At this iteration of the IPA’s progress, you could hear her and other veterans talking of the congresses of the past, much as they might discuss chapters in a book. And in coming editions of Publishing Perspectives, we’ll have chances to look at specific sessions and presentations, to capture more of what was said in this genial, professional crowd of publishing players. In every case of a world congress, the lion’s share of the presentation work will always fall on the host association—including the procurement of sponsorship for many elements of a gathering for hundreds of delegates. Opinions about programing need not dim our appreciation for the hosting publishers’ association’s hard work, in this instance, the tirelessly committed Federation of Indian Publishers. They deserve the thanks and applause offered at the close of the congress. But getting it all in, local and international—urbi et orbi, as the Vatican would have it—is easy for nobody. The New Delhi congress hosts were gracious and diligent in staging their industry’s congress for the international membership. We simply have to keep asking for more: more respresentation of the entire, multi-colored and -gendered spectrum of the many professionals working in–and for–book publishing today.